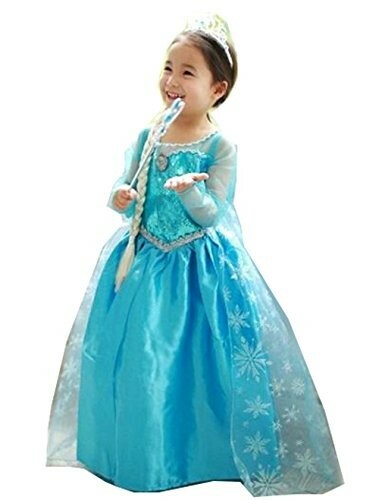 She'll feel like Queen Elsa from Frozen in this beautiful blue satin dress! 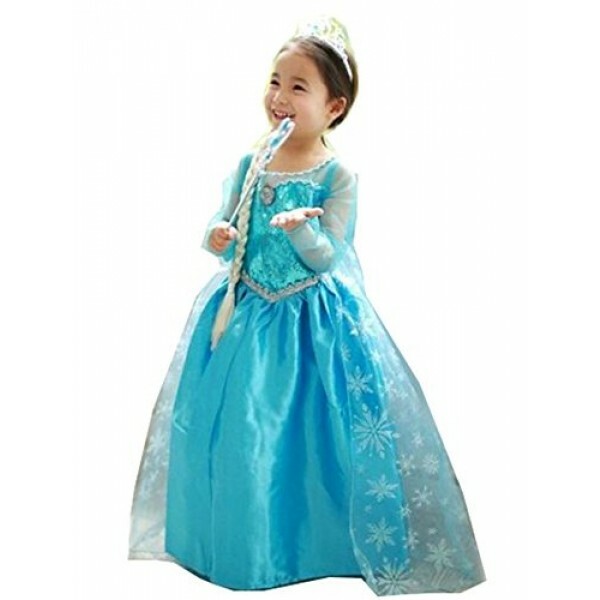 The set includes satin dress with lining and tulle, a removable medallion pin, and sequin bodice with attached sheer snowflake organza cape. Please note: crown and wand not included.